 This website was designed for Kiwanis Club of Greater Parsippany by Kiwanis Charter Member Frank Cahill (#2), Publisher of Parsippany Focus in appreciation of the hard work and valuable time spent by the members and volunteers of this organization. This cost of hosting this website is also donated by Parsippany Focus. Any updates or omissions should be directed to Frank Cahill. This website was re-designed on April 11, 2015. This website was first published on August 25, 2006.